Kuantan, Pahang, 12th November 2016 – Hong Leong Yamaha Motor Sdn. Bhd. 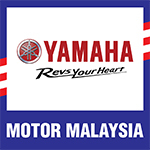 (HLYM) has today officially opened its new branch, the Yamaha Lifestyle Point, in Kuantan, Pahang, in the presence of Yamaha East Coast dealers, business partners and members of the media. Strategically located in central Kuantan, the Lifestyle Point resides on Lorong Padang Lalang 8 and is easily identifiable by the prominent red Yamaha signage on its roof. 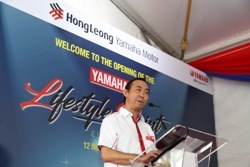 In his opening speech for the two-day event, Dato’ Jim Khor, Managing Director of HLYM explained that the key objective of the Lifestyle Point is to extend after-sales service, spare parts distribution, and merchandising sales to this part of the region. 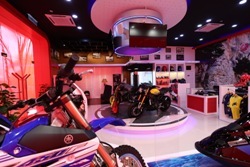 He also highlighted that the branch comes equipped with a training centre for knowledge sharing with dealers, open space for Yamaha group activities, while incorporating a relaxing ambience for riders to reminisce their riding experience to all. 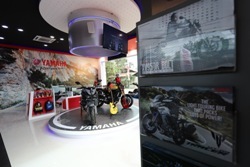 “The name Lifestyle Point was carefully chosen to represent our concept of the business moving forward, where an array of Yamaha Lifestyle products have been intricately infused into our display and showroom designs. 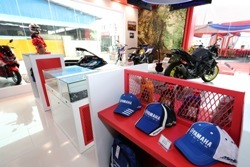 The Yamaha Lifestyle Point, Kuantan, is the first branch in Malaysia to realize the 2 Yamahas 1 Passion co-branding initiative and will be a benchmark for the other branches to follow and surpass in the future”, he added. At the end of the first day, the crowd was treated to a special guest performance by Yamaha Music Malaysia’s endorsee Russel Curtis, who donned his symbolic cap while playing his hollow electric guitar. Dato’ Jim Khor praised his team for the level of dedication the team had put into designing the night ambience of the Lifestyle Point that facilitated the night’s proceedings and future night gatherings. 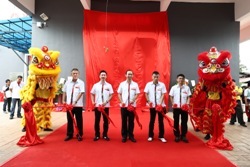 A carnival themed “Customer Day” took place on the second day and customers were treated to games and freebies, as well as a free service campaign, together with tempting discounts on various merchandise. In addition to the 250 visitors, the event also saw participation from the East Coast Yamaha convoy groups, consisting of about 300 bikers, who took part in various games where the winners walked away with bags of Yamaha branded goodies. The success for the two day launch of HLYM’s very first Lifestyle Point in Kuantan was received with high praises and enthusiasm. 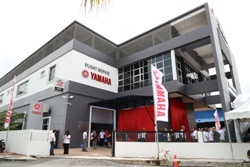 Yamaha Lifestyle Point, Kuantan was earmarked as an exciting entry to HLYM’s new business frontier.